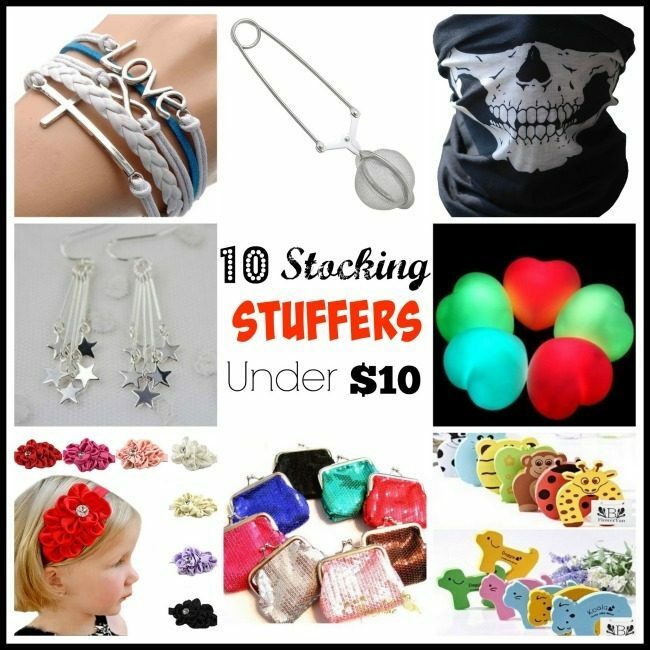 10 Stocking Stuffers For The Whole Family Under $2! You are here: Home / Great Deals / Amazon Deals / 10 Stocking Stuffers For The Whole Family Under $2! With Christmas right around the corner, we’re bringing you some ideas for some fabulous and frugal stocking stuffers! Today, we have a new list of 10 Stocking Stuffers for the Whole Family Under $2! Vintage Silver Infinity Bracelet – $1.04 + FREE shipping! Skull Face Tube Mask – $1.05 + FREE shipping! Van Gogh Notebook – $1.39 + FREE shipping! Heart Night Lights – $1.48 + FREE shipping! Colorful Dream Catcher iPhone Case – $1.68 + FREE shipping! Mesh Tea Ball Infuser – $1.83 + FREE shipping! Sequin Coin Purse – $1.83 + FREE shipping! Silver Star Dangly Earrings – $1.88 + FREE shipping! Door Stop Finger Pinch Guard – $1.95 + FREE shipping! Chiffon Flower Head Bands – $1.99 + FREE shipping!